This is an uncommon entity that begins in adolescence or early adulthood and demonstrates slowly progressive enlargement of the affected muscles. Masseteric muscle hypertrophy is usually bilateral but may be seen as a unilateral lesion. The etiology is uncertain but is thought to be related to bruxism or excessive chewing. This has also been described in patients with acquired immune deficiency syndrome. Histologic examination shows normal skeletal muscle tissues. The signal intensiry of the enlarged muscles is similar to normal skeletal muscle of different pulse sequences. No abnormal enhancement is present in affected muscles. 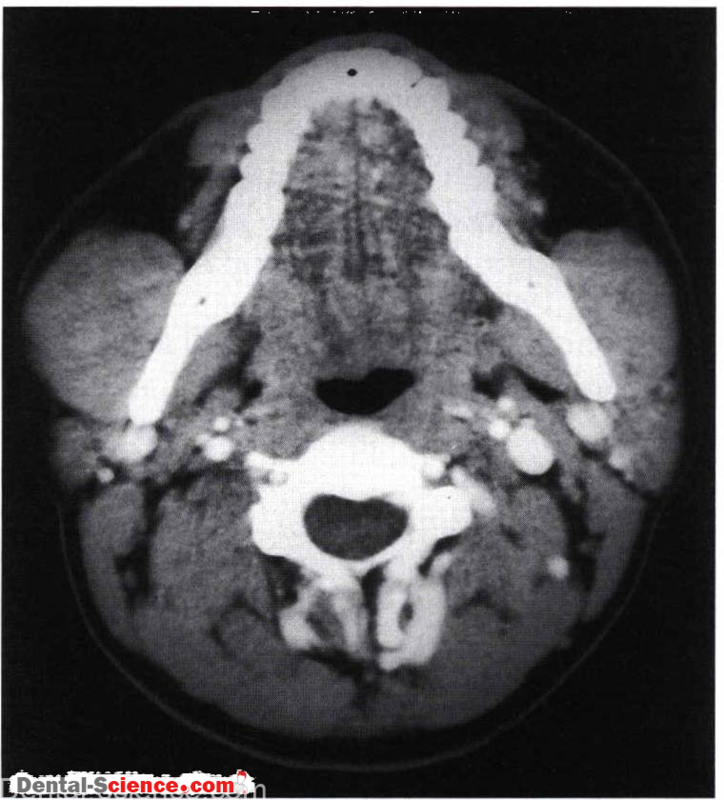 Unilateral masseteric muscle enlargement may simulate a neoplasm. 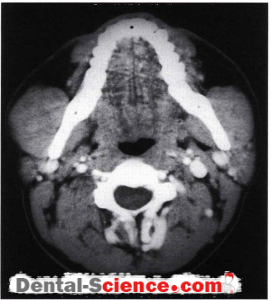 The lesion, however, maintains a smooth outline and shows normal attenuation or signal intensiry on imaging. This diagnosis is confirmed upon the detection of associated enlargement of the other muscles of mastication. 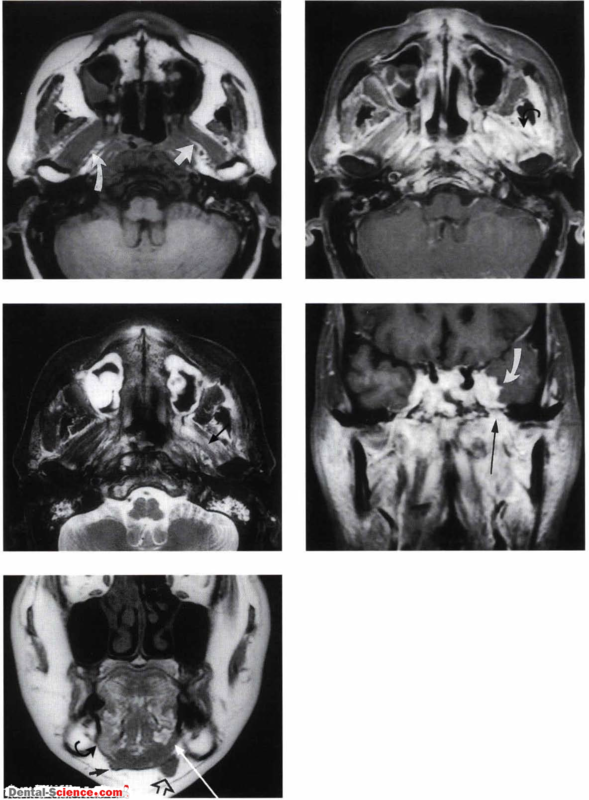 • Bilateral mild to moderate masseteric muscle hypertrophy may not be easily recognizable on imaging and radiological findings should be correlated with clinical history.